Conversion of upper floors into en-suite student accomodation. The building occupies a corner plot, with a double frontage looking onto London Road and De Montfort Street. 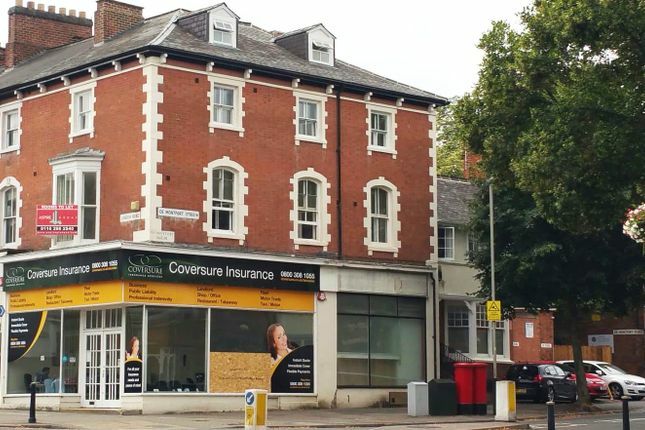 The ground floor unit is currently an Insurance brokerage firm, and is also advertised for rental (£16,000pa). The building sits in close proximity to the University of Leicester, the train station, local businesses and the city centre. The upper floors have been recently renovated into 3 student focused apartments, which are pre let for the 2018/19 academic year. Student Income of £68,200 pa.
Property descriptions and related information displayed on this page, with the exclusion of Running Costs data, are marketing materials provided by Aspire Group, and do not constitute property particulars. Please contact Aspire Group for full details and further information. The Running Costs data displayed on this page are provided by PrimeLocation to give an indication of potential running costs based on various data sources. PrimeLocation does not warrant or accept any responsibility for the accuracy or completeness of the property descriptions, related information or Running Costs data provided here.